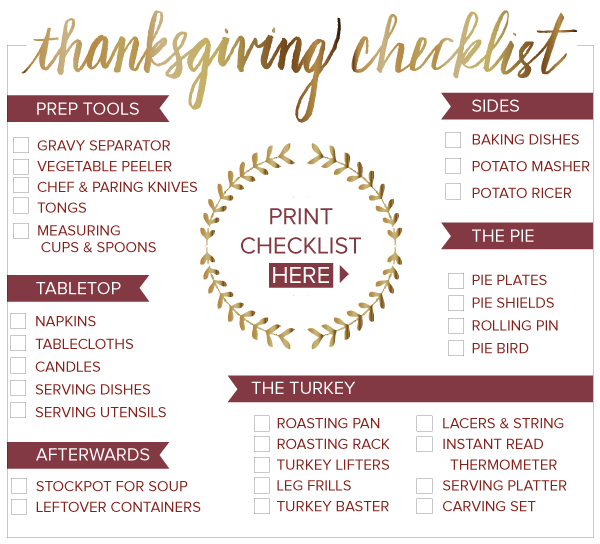 Thanksgiving is such a great holiday! 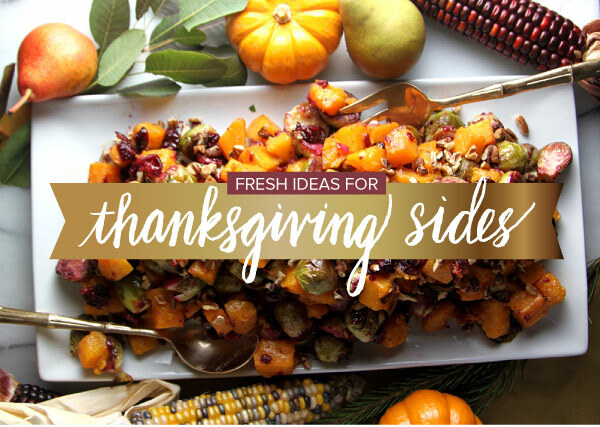 It's an annual event that unites all Americans with different traditions, all centering around thanks and gratefulness for bountiful food, family, and friends. We'd like to offer our own thanks - we are grateful for YOU, our wonderful family of customers. 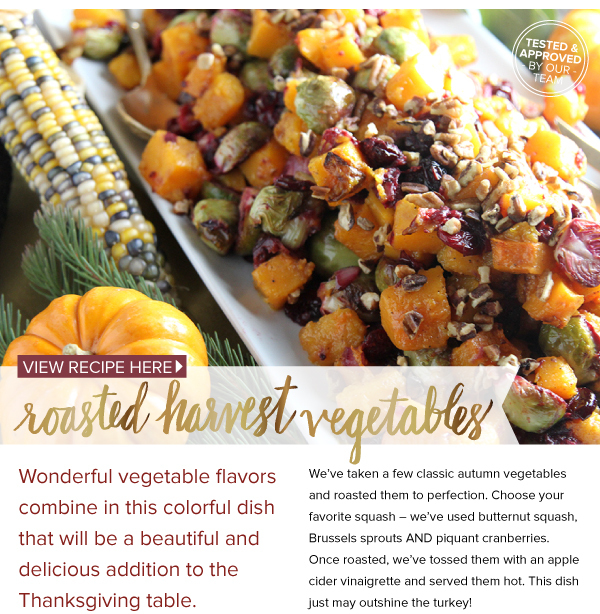 IN THIS ISSUE, we're recommending three colorful vegetable sides that provide a little pizzaz to the traditional Thanksgiving. 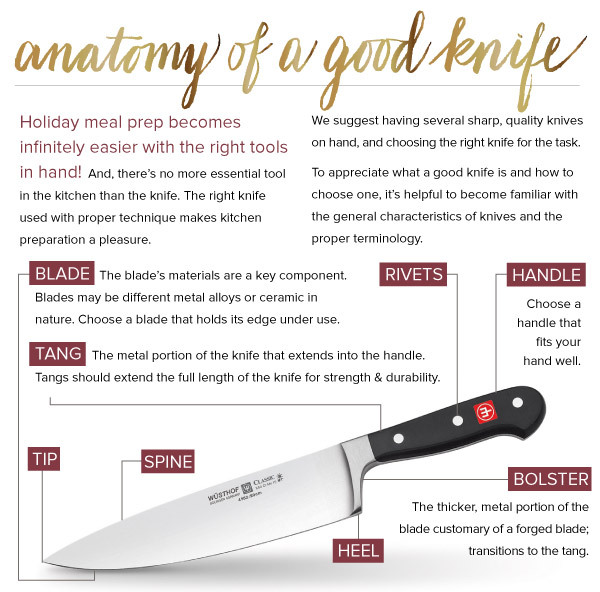 We've included our handy Thanksgiving checklist, as well as some key knife basics. 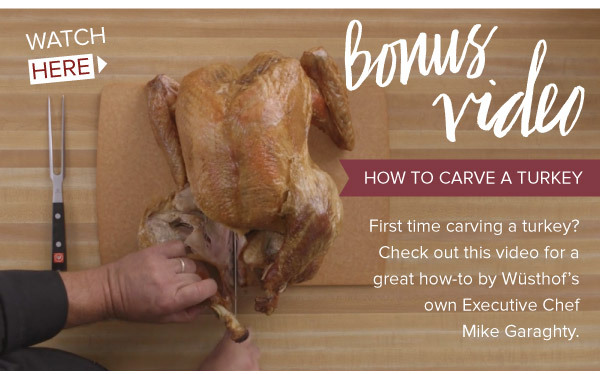 First time carving a turkey? 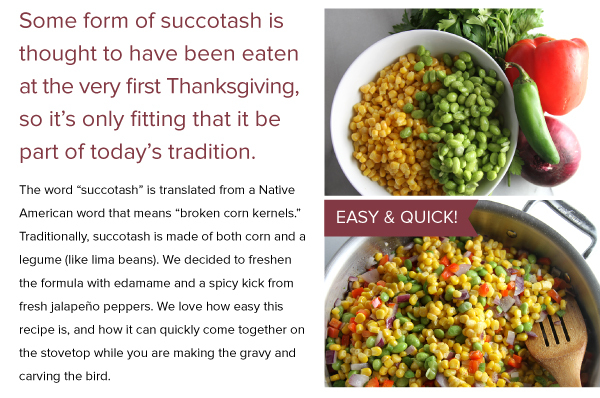 We've included a bonus "how-to" video below. We hope your Halloween was a fun one! 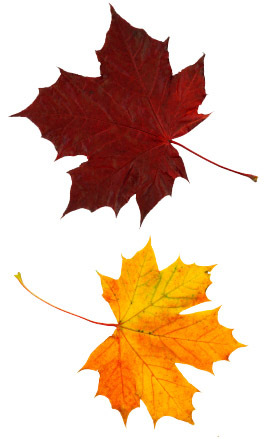 Now that November is upon us, we've got a full slate of events ahead. We're diligently working on our first quarter classes for the new year, too, so keep your ear to the ground. We'll release them as soon as we have all the details. In the meantime, we hope you'll avail yourself of these opportunities. Once a year we invite all of our customers in for a special afternoon in the store. 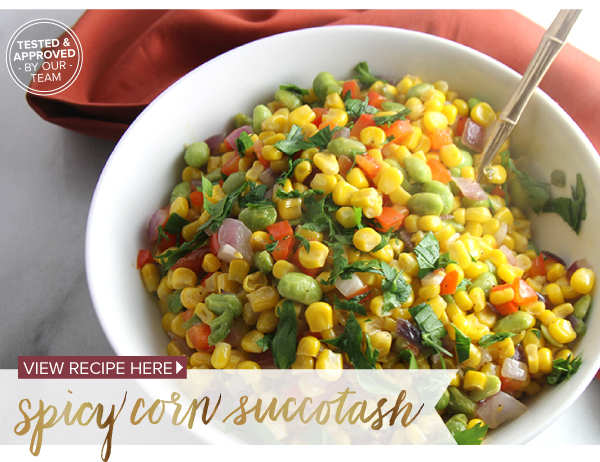 It's our way of saying THANK YOU for being a part of the success of Acorn Farm. The event will take place on Sunday afternoon, November 13th, from noon until 4 pm. We take the opportunity to cook for you so you can enjoy some delicious brunch food, sample some of the things we have in the store, and take a moment to enjoy a quiet afternoon. We'll have some DRAWINGS and GIVEAWAYS as well. The store will be decorated in its finest for the holiday season and all of our holiday merchandise will be on the shelves -- some will even be wrapped and ready to give. 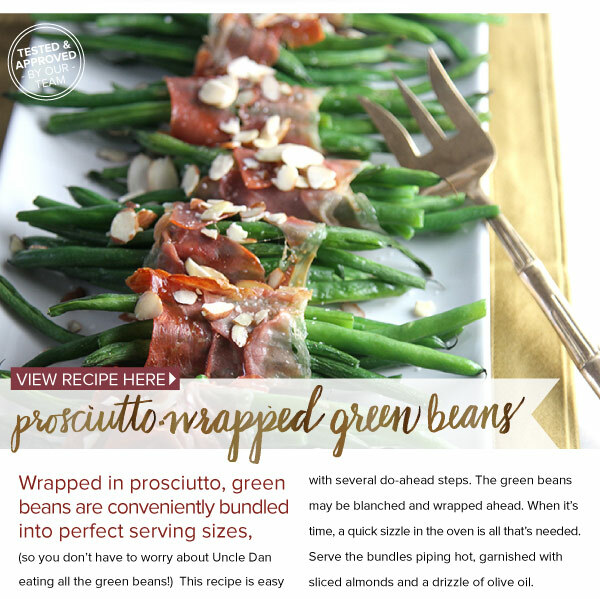 This makes gifting just that much easier for you this year! We do hope you'll join us. It's always a nice time! You'll remember that last year, our theme for the Christmas season was GIVING BACK. One of the charities that we (you) helped out was Wellspring, a youth development organization located in northwest Detroit. Its mission is "to assist urban youth in developing themselves spiritually, socially, academically, and economically". Their programs include after-school math and reading, recreation, field trips, outdoor adventure, leadership, community service, college prep, and summer employment. It has been in operation for 30 years and currently supports 300 youth per year. We have a special connection to Wellspring because one of the founders is Kathy's brother. This is a tremendous organization, making a huge difference in the lives they touch. One of their primary fundraisers is an ANNUAL CHRISTMAS TREE SALE. Although the big sale is typically in northwest Detroit, they've offered to let us in on the fun and make a drop-off in Milford. They will be offering premium 7-8' trees, both Fraser Fir ($70) and Scotch Pine ($50) and they will be delivered to downtown Milford on December 1st. 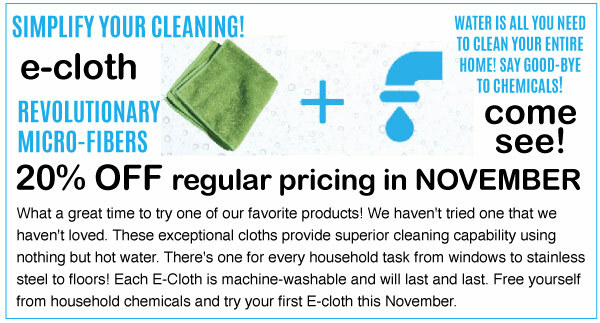 For an extra $15, they'll bring it right to your door (within 6 miles of downtown Milford). Such a deal! Every penny of profit goes to Wellspring. They win because it furthers their ability to help others; you win because you'll have a great tree, a beautiful heart, and a bunch of Detroit kids will win because they'll get to continue learning and growing and experiencing new things at Wellspring. What a great day to shop! 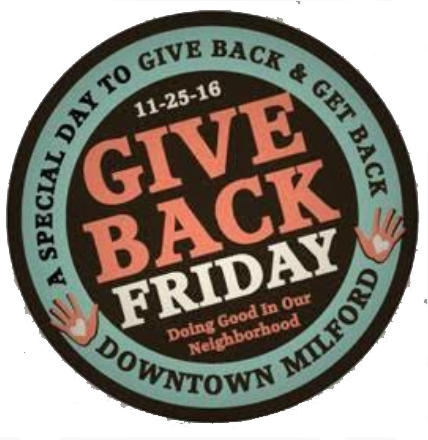 Many of the merchants in Milford have teamed up to do Give Back Friday, a more thoughtful twist on Black Friday. And, you don't have to get up at 3 in the morning to participate. Participating shops are finding a way to give back on that day, whether it's giving a certain percentage of their sales to a charity or selling one particular thing all for charity. 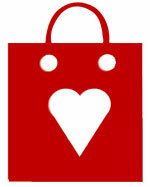 ACORN FARM will be participating, of course, so we hope you'll be in to shop Milford that day! Since deer-hunting season is just around the corner; we've got some things in the store to help you after your successful hunt. 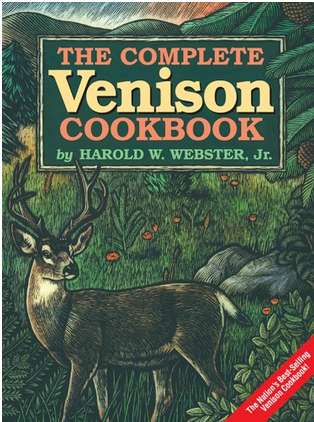 One is the VENISON BIBLE, including everything you need to know about cooking venison. The other is the KITCHENAID MEAT GRINDER ATTACHMENT, perfect for preparing venison sausage. 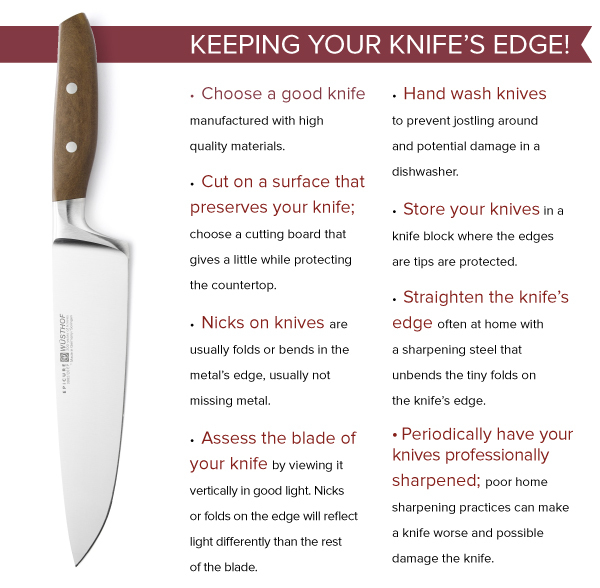 If you're a hunter, or are on the receiving end of some great venison, you might want to take a look. 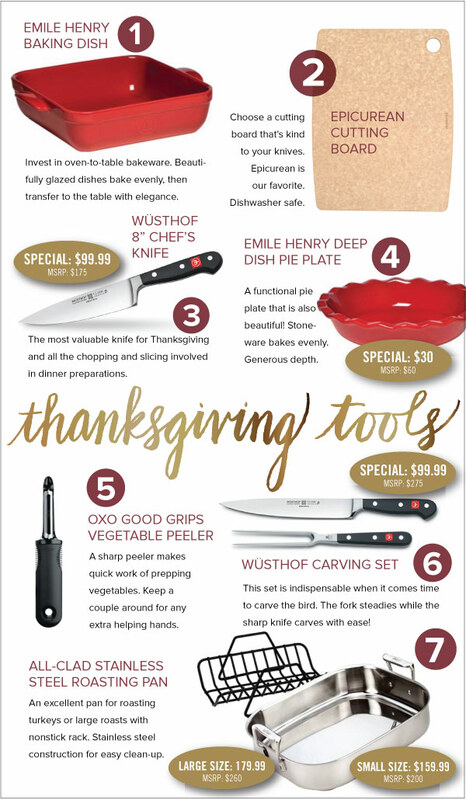 Another thing we'd like to bring to your attention is the great special from Swiss Diamond. 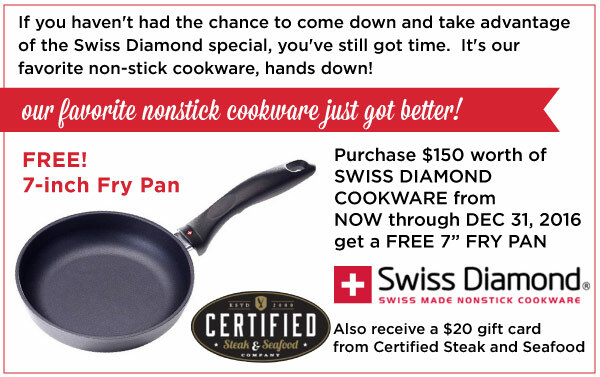 With every $150 Swiss Diamond Purchase, you'll receive a FREE 7" fry pan. The staff at Acorn Farm all agree that Swiss Diamond produces the BEST NONSTICK COOKWARE any of us have used. 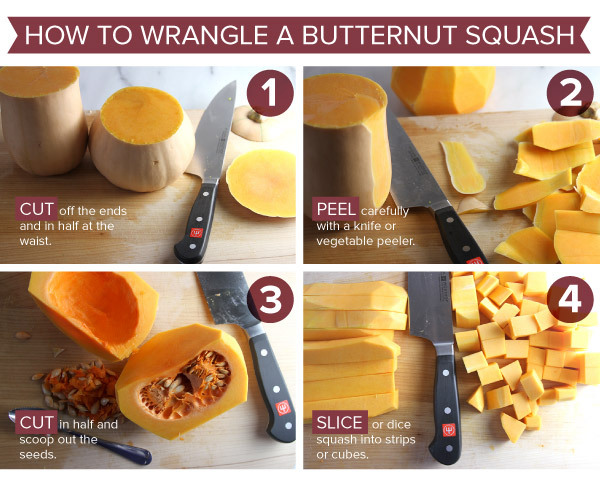 It's durable, reliable, and can be used on the stovetop or in the oven.